THE 2018 bwin World Series of Darts Finals will feature the six winners of this year’s global events alongside players from around the world and four qualifiers. Vienna’s Multiversum will host the World Series of Darts Finals from November 2-4 as a 24-player field competes for a £250,000 prize fund. The top eight players from the World Series Order of Merit following the year’s six global events qualify by right. 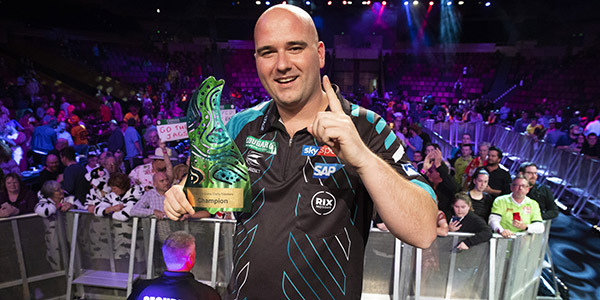 That means reigning champion Michael van Gerwen – a winner in Auckland this year – qualifies alongside fellow 2018 champions Peter Wright, Rob Cross, Gary Anderson, Michael Smith and Mensur Suljovic. James Wade, Dimitri Van den Bergh, Kyle Anderson, Damon Heta, Raymond Smith, Jamie Lewis, Dawson Murschell, Royden Lam. Nov 2-4, Multiversum Schwechat, Vienna.